As its primary competitors filled their model lines with crossover SUVs, Cadillac stood still as a result of shoddy product planning. The turn of events has brought the luxury brand to where it is today: Cadillac will be the last luxury automaker to add a three-row CUV – the upcoming Cadillac XT6 – to its lineup. In fact, even Ford will beat GM to the punch in offering a three-row luxury crossover – the upcoming Lincoln Aviator, which our sister site – Ford Authority – just caught undergoing testing with minimal camouflage. 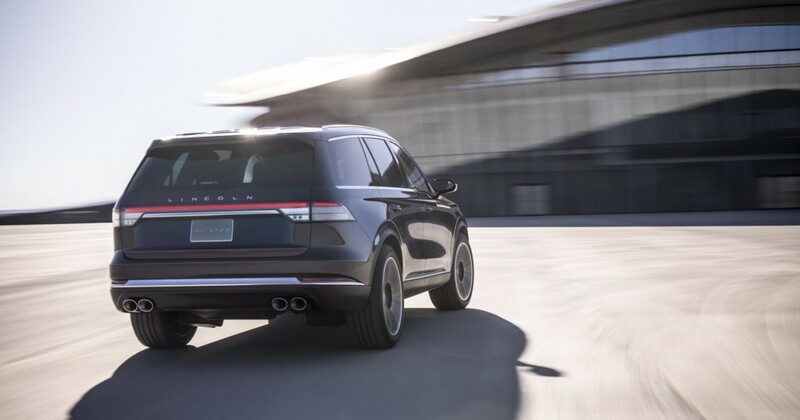 The 2020 Lincoln Aviator will ride on an all-new, rear-drive platform as it takes on the front-drive-based Cadillac XT6, along with other “midsize plus” luxury CUVs with three rows – the Audi Q7, Volvo XC90, Infiniti QX60, Acura MDX and Lexus RX350L. Though the Lincoln Aviator Concept – introduced earlier this year at the New York Auto Show – looked great, this validation prototype appears to have toned down the styling for production. Though the design is nothing to write home about, a softer approach seems to be part of Lincoln’s design direction. These new Lincoln Aviator spy pictures also show production-intent grille, traditional door handles (unlike those on the Continental), as well as a familiar lighting theme and Lincoln design cues. The new Lincoln Aviator is widely expected to debut this week at the Los Angeles International Auto Show. It is expected to go on sale in the 2019 calendar year as a 2020 model. Notably, the Aviator will be the only vehicle based on a rear-drive platform with a longitudinal engine orientation. Meanwhile, Cadillac XT6 will be based on GM’s extended-length C1 platform, which is a front-drive architecture with a transverse powertrain placement that’s also capable of supporting all-wheel-drive. The C1 long platform is most directly shared with the Chevy Traverse and Buck Enclave. Head on over to Ford Authority to see the latest Lincoln Aviator spy pictures. All I’m seeing is another lifted box on wheels. No thanks! Agreed, although it is a sleeker box than some others. Legions of drivers are under the erroneous impression that it takes a tank to drive on snow covered roads, unaware that heft only dulls the driving experience. Most cars shod with snows will run circles around this. I’d say the Aviator would be a step or two above the FWD rebodied Traverse that Cadillac will be peddling. Price-wise, they might be the same but in terms of capability and refinement, the Lincoln should easily best Cadillac’s hastily developed XT6. I also think the look of the new Lincolns is outstanding with a solid, elegant, timeless and graceful visage that Cadillac can’t touch. From what I’ve seen of XT6, it’s another oddly shaped, nose-heavy design devoid of refined proportions. Oh there’s no doubt that Cadillac is going to throw something that looks and feels way too much like an Enclave or Traverse. I’m already frustrated about it. Crossovers are the next big trend in the industry, and they are reverting back to Chevrolet reskins for their product like in the 1980s. Except this time they don’t even have unique engines. Worse still, there is no demonstration that ANY of GM’s CUV platforms can support an engine larger or more powerful than the NA 3.6. Cadillac’s entire CUV portfolio won’t stand a chance against any luxury player more relevant than Acura, Infiniti, and Volvo, let alone Genesis and Lincoln. The Europeans? Forget about it. If the current Navigator is any indication, I think it’s safe to say Lincoln has a real winner on its hands! With all this talk lately of ditching sedans in favor of crossovers and SUVs, it’s good to see an American luxury brand taking a strong approach to boost appeal for them! I have no doubt the the upcoming XT6 will be good, as it’ll only build off the strengths of Chevy Traverse and Buick Enclave corporate siblings. But it likely won’t introduce anything revolutionary in terms of engineering and powertrain options, which’ll likely be the corporate family 3.6L NA V6 and underwhelming 2.0T in the XT4! 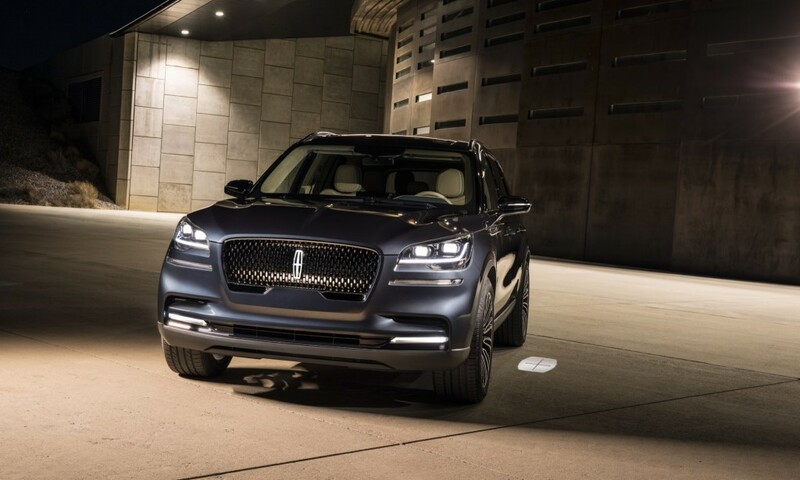 The only thing the XT6 may have over this beautiful Lincoln SUV is the Super Cruise technology! The Voncept looked production ready and market directed. Why do automakers always dull down the product being produced for the consumer. This was on my list for my wife’s vehicle replacement, now I am not sure. Dare to be bold!! Not a huge fan of the Aviator judging from the test photos. Looks like a Ford with a tacky grill. They absolutely screwed up with the Continental. It still pains me to see that concept dulled down that much. Oh look! Another rebadged ford explorer. Looks like Lincoln is finally getting it’s act together. I haven’t seen an XT6, but the XT4&5 don’t impress me. Sometimes I wish that the Chinese would buy Cadillac the way they bought Volvo. I just read the early impression press releases of the 2020 Aviator! So far, it’s looking like a real winner! Both inside and out! I think it’s safe to say Lincoln is certainly on the road to true success in the luxury market! I can’t wait for the driving impressions to come out!!! The belt line looks surprisingly high. In all seriousness does anyone else see something that looks like a hearse at first glance? I don’t really care if the XT6 is front drive based. I just absolutely loathe the proportions of the Cadillac crossovers. There’s WAY too much front overhang on those things. Somehow Volvo is able to hide most of that on their newer products. I have no idea why Cadillac doesn’t bother. It makes the car look cheap to me. Not on par with BMW or Mercedes. Cadillac promised earlier this year they will show us every half year a new car (after waiting 3 whole years for a really new car, the XT4!!) And now we wait again and again. LA passes without any notable new GM car, no XT6, no CT5, no CT4. I don‘t know why they are waiting showing us new cars like every one else does. What keeps them really hesitating? I did see this new Aviator at the New York auto show last April. It looks more like a Land Rover, with sharp lines and a high end look. The best thing Lincoln did was to get rid of those evil split grills and go with a much more classic look. I still can appreciate the styling evolution at GM. , which I believe is the most talented in the industry. We should soon see the reveals for GM’s full sized crossovers, and I’d bet they will be impressive. The actual production Aviator has been shown in Los Angeles and since there is no story on GMA about the debut, I’ll add here that it is everything the concept promised. It looks very upscale but also uniquely American and with RWD and a 400 hp 3.0 TT V-6 and a 450 hp Hybrid it should truly be a “hot-rod Lincoln”. Beautiful inside and out, it is what GM fans like me wish for from Cadillac. Alas, that will never be but at least another domestic brand will have a home-run on their hands and will give Americans a terrific home-grown alternative to the luxury SUVs from the European brands. XT6 won’t even be in the same stratosphere. Go Lincoln!